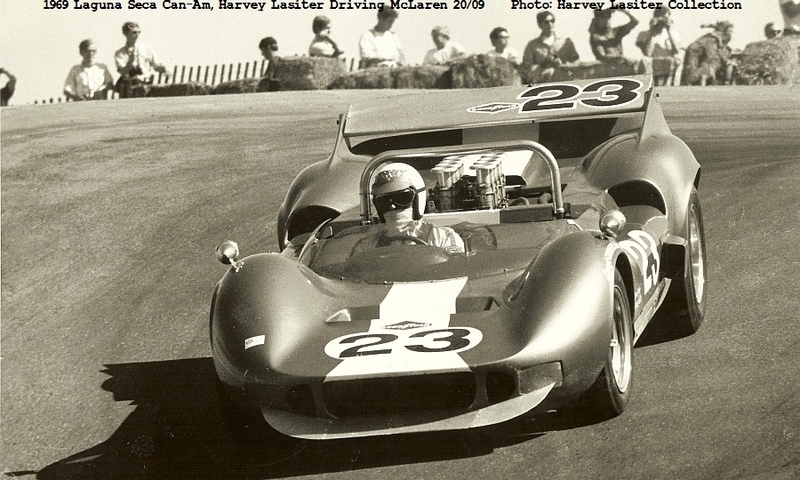 Though there is a good selection of pertinent information and pictures within this page, please refer to the PDF document noted just above for a much more detailed look at this car, it's history, and current condition. Truth be told, even the above PDF is only a brief synopsis of what has been collected by the present owner of this vehicle. 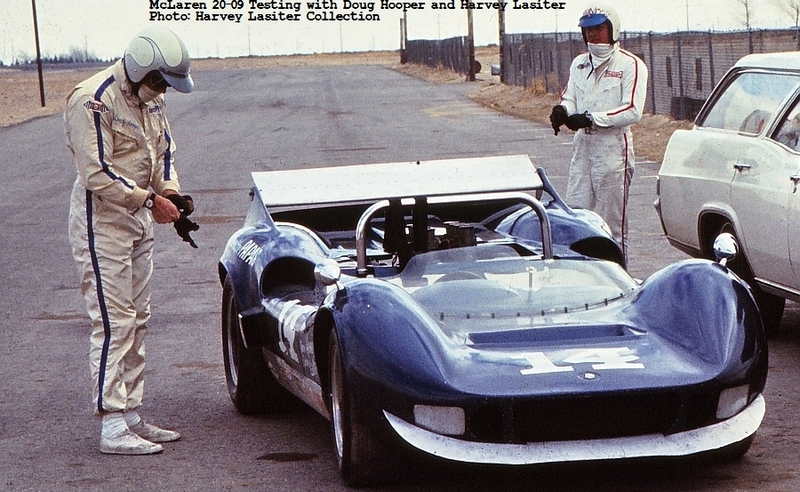 There are countless more period photos of the vehicle, as well as additional documentation and memorabilia that are not capable of being efficiently represented on this page. 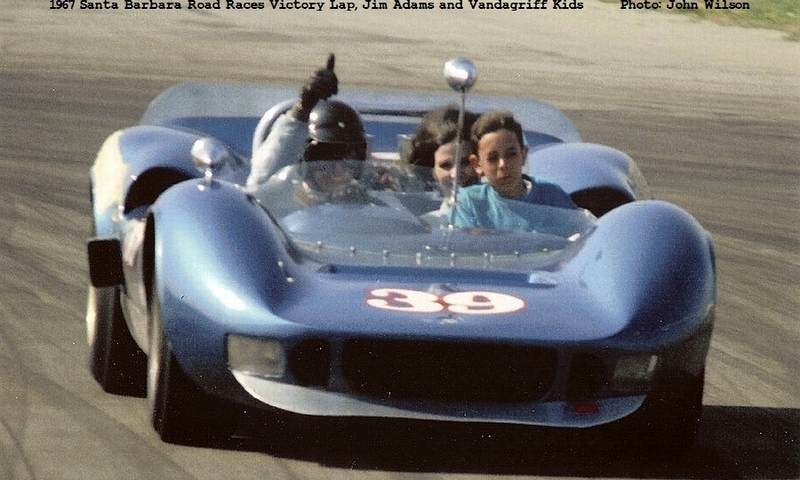 Additionally, the most recent restoration of this vehicle has been documented with a couple hundred more photographs. Because we have so much detail in the above noted PDF, we'll only note a few bullet points on this page regarding this car, and what we believe make it so special. 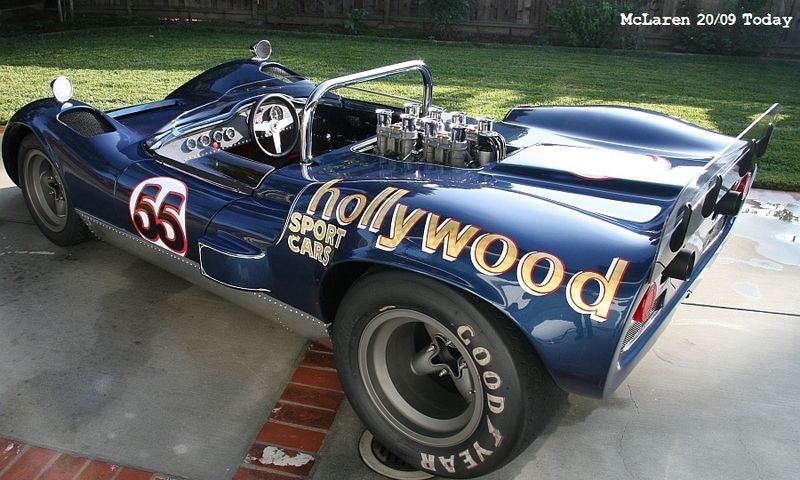 This car was purchased by Chic Vandagriff of Hollywood Sport Cars in 1965. 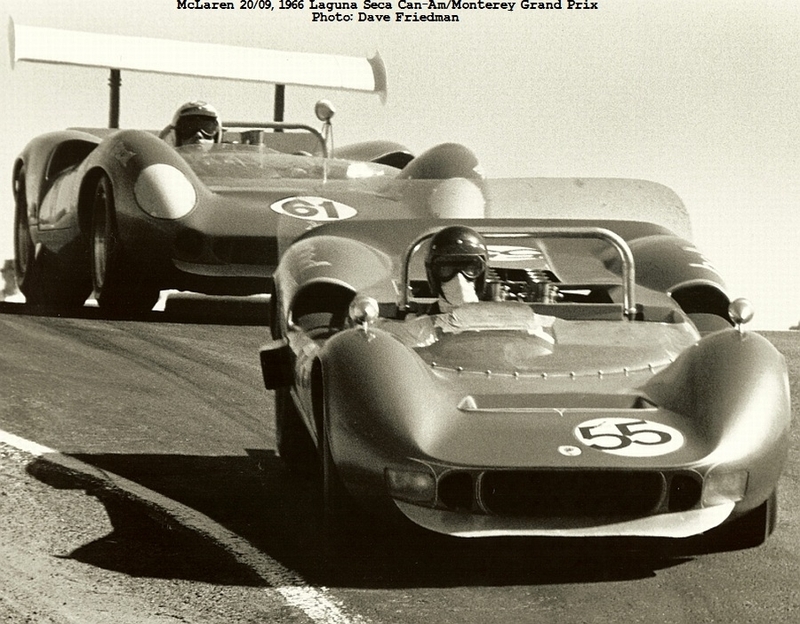 Hollywood Sport Cars (to be noted as HSC later on this page) was one of the largest importers of Ferrari automobiles into North America. 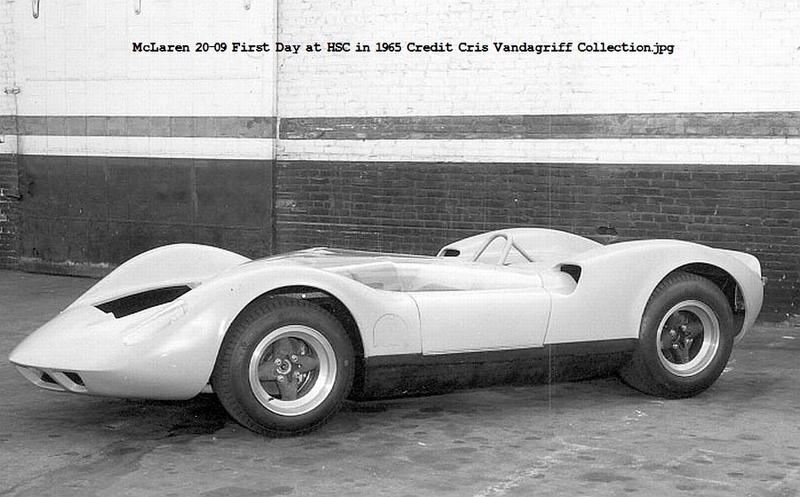 The original Manufacturer's Statement of Origin (MSO) to Hollywood Sport Cars, signed by Carl A. Haas, and the Invoice noting the total cost and payment comes with the sale of this car (thanks to Chic's son, Cris Vandagriff). 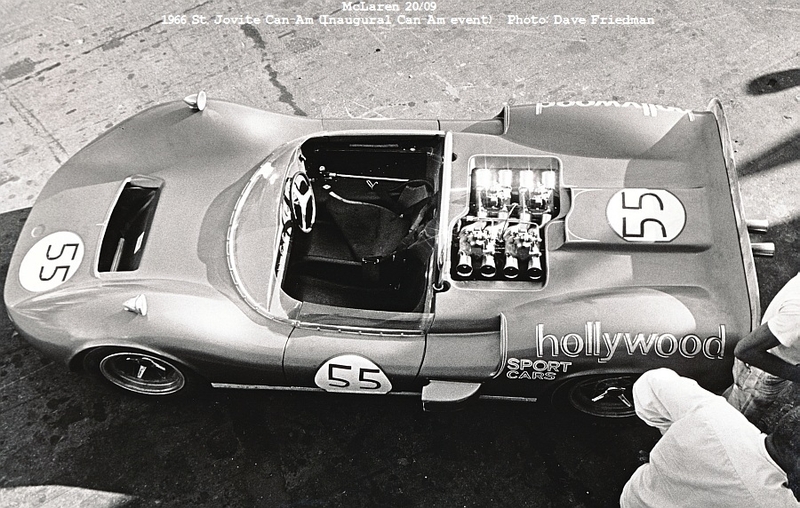 This car ran both Ford and Chevy engines in it's early days with Hollywood Sport Cars. Whether you're a Ford or Chevy fan, this car can run the powerplant that matches your brand preference. 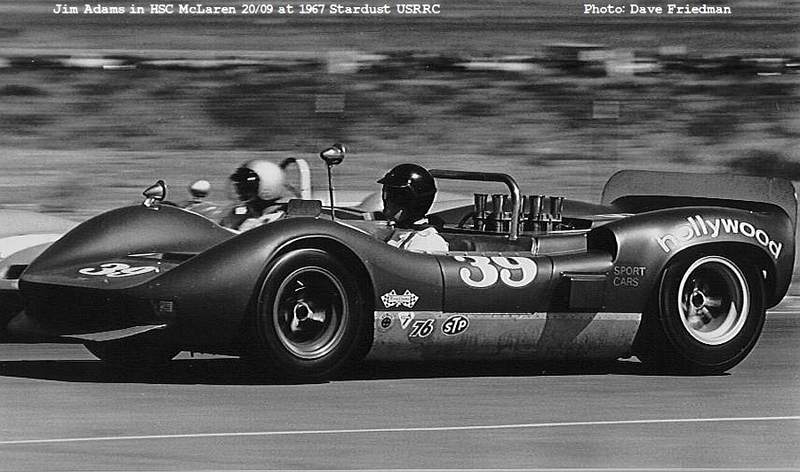 The 289 Ford, crossram 58 DCOE Weber carb setup this car ran in 1965 and 1966 would be quite the attention getter for those so inclined. 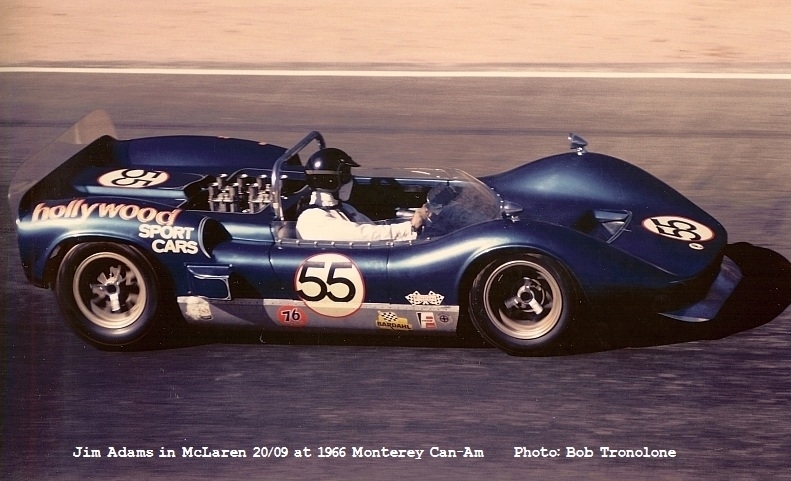 The Chevy engines this car ran while at Hollywood Sport Cars (and beyond) were both carbureted (48 IDA downdraft) and even injection was tried and run. Photographic proof exists for every setup you may desire to run. The car currently runs a 331 cu. in. 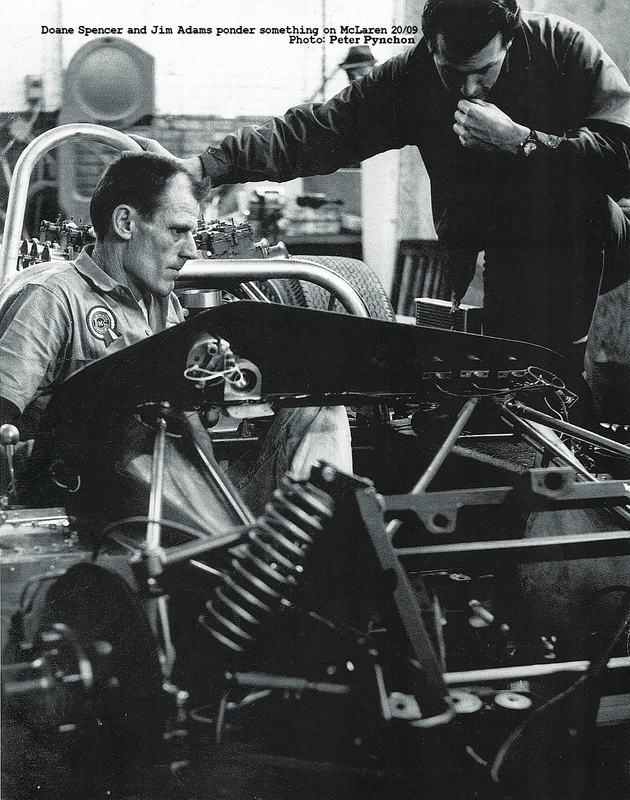 small block Chevy (327, .030" over), with a MacKay, magnesium intake manifold with 4, 48 IDA Weber downdraft carburetors. More mechanical details, again, included in the PDF document referenced above. 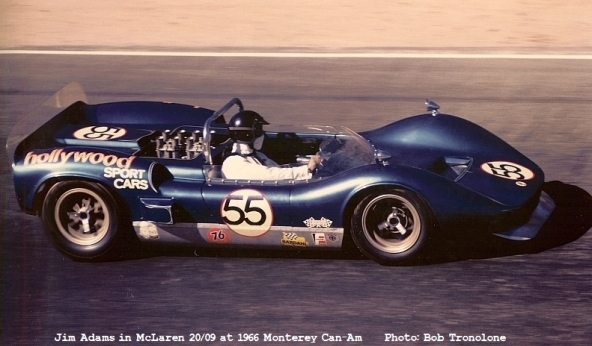 Hot Rod legend Doane Spencer was the mechanical genius behind all of the tricks this McLaren received, starting in 1965, and extending through 1967. 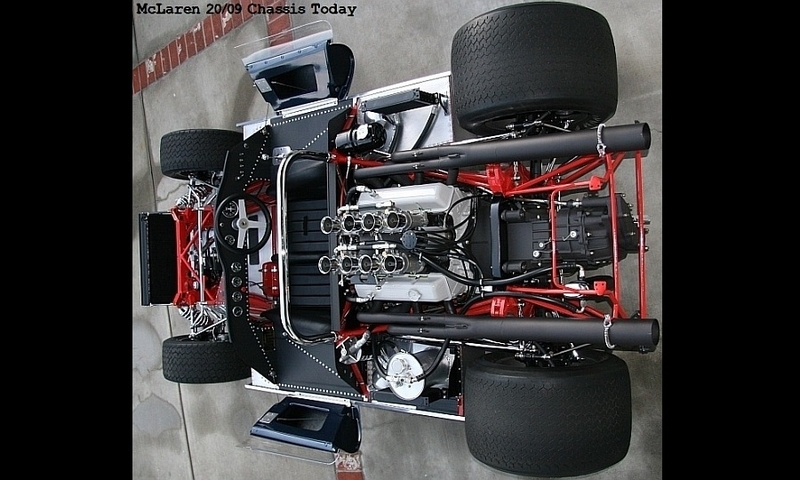 Nearly every single "trick" or one-off component that Doane made for this chassis, never left this car during it's life, and has been restored with these components accordingly. 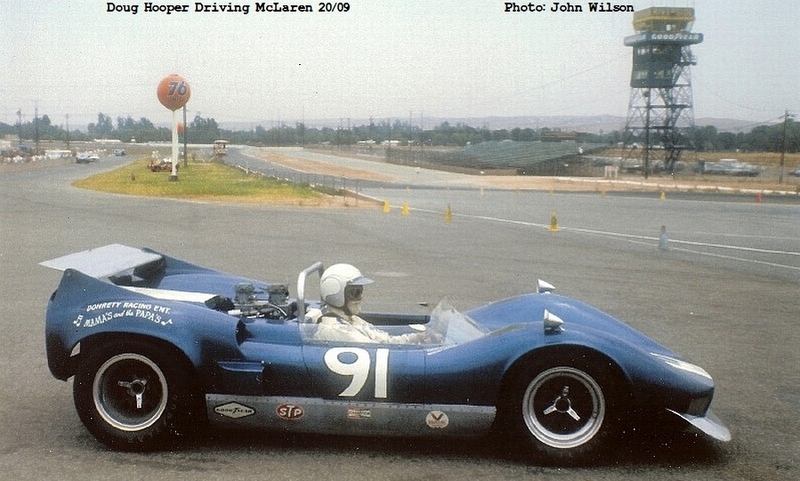 Please see the PDF document noted above for all the details on Doane Spencer's additions, some of which preceded the McLaren factory cars. 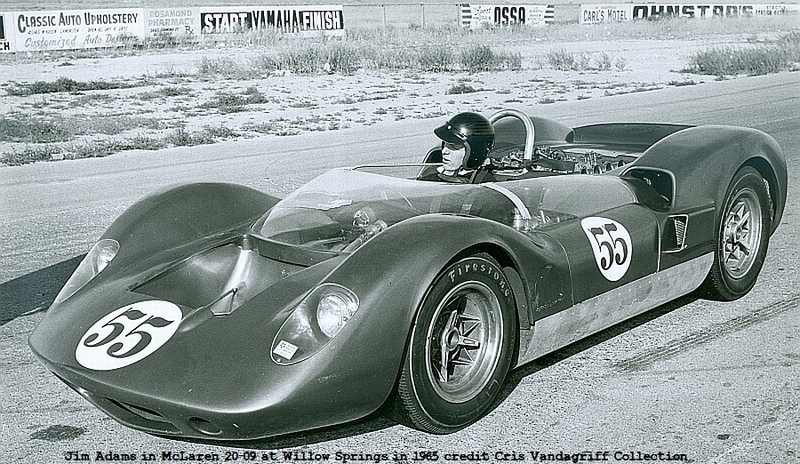 Willow Springs, Driver: Jim Adams, Car# 55, Though SCCA tech sticker is seen in Cris Vandagriff photo, no date or event specifics known. 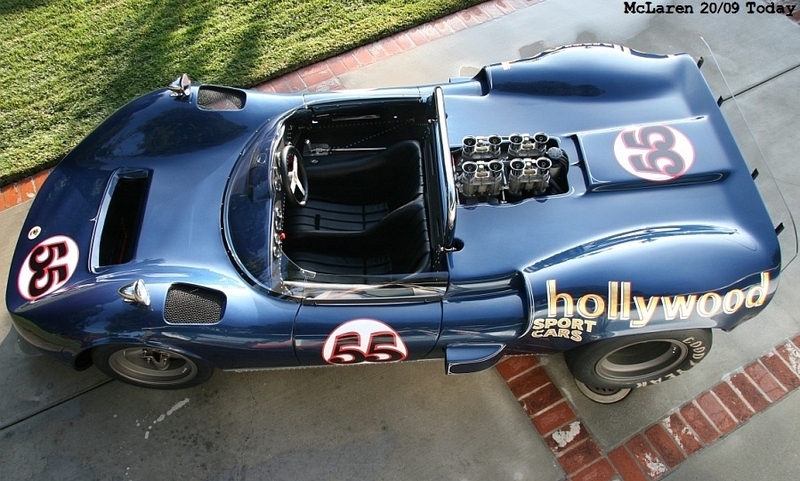 This car has an unblemished and well documented history. This chassis has also never suffered an accident or environment that's damaged it's original chassis or it's special, one-off, parts. 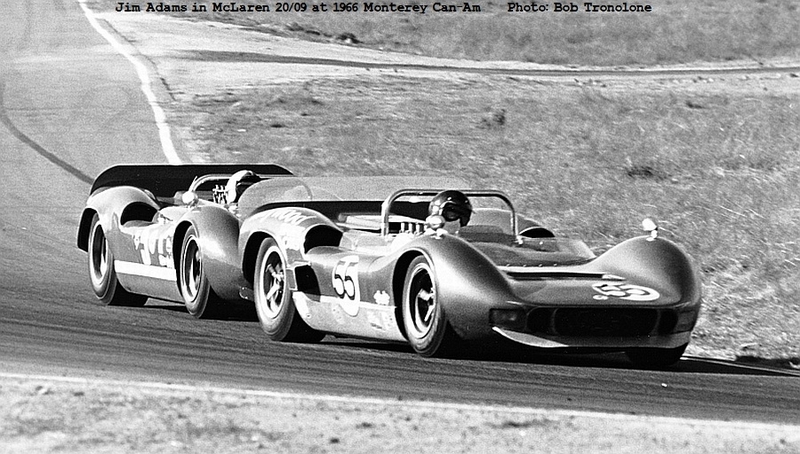 The current owner has spent the past 2-plus years restoring McLaren chassis# 20/09 to a very high level. The vehicle was fully disassembled, inspected, chassis repainted, various components re-plated, re-conditioned or replaced. The still well preserved exterior paint from it's 1998 Monterey Historic Race participattion is all that was left untouched. If you would like to learn more about this vehicle, please contact us today.